The Australian consumer market has embraced e-commerce in recent years. The Australian e-commerce market exploded in 2010 but in more recent years some segments have outgrown others significantly. Automotive stores saw a huge 89% increase in revenue per store in recent years. So now is the time for Automotive Dealerships to establish their position as a viable option for online shoppers and automotive enthusiasts. Earlier this year Pentana Solutions released Handle, a product that streamlined the reconciliation and payment process involved in selling automotive parts online. The partnership between eCorner and Pentana Solutions is yet another part of the puzzle for the Pentana Solutions automotive dealers. Whats so Hard about Selling Parts Online? Automotive parts and accessories is a complex inventory management issue. Parts need to be available for hundreds of makes and models as well as years. This makes the potential number of available parts hit the 10,000's of stock items. Often parts will be ordered because a problem is being solved and the buyer needs to know the availability and location accurately and immediately. This information changes on a daily basis and the information available on an online store needs to be accurate and up to date. Pentana Solutions are an Australian based supplier of leading-edge solutions to the automotive industry. Pentana Solutions employ over 440 staff throughout 13 locations around the globe. The products and services extend to over 100 countries around the world, comprising over 50,000 users on a daily basis. Through strong strategic partnerships they deliver integrated solutions with quantifiable benefits to clients. Pentana Solutions’ mantra in the parts world is simple: less keying, fewer errors and increased sales. ERAnet’s accuracy, security and useability makes it the ideal ERP tool for parts. It’s fully integrated meaning less manual work for employees and fewer errors from duplicated entries. The scanning and bar coding solutions available streamline your entire parts department, giving you visibility and control like never before. You can read more at the Pentana Solutions website - www.pentanasolutions.com. When moving into the e-commerce space with eCorner, Dealers of any size have the ability to set up a hosted online store complete with an integrated shopping cart. eCorner’s software of choice is ePages, a proven technology with over 120,000 ecommerce sites worldwide. The eCorner solution gives dealers the ability to promote and channel their existing contacts into a controlled online store. Using ePages retail dealerships can implement a cloud-based solution that is hosted in Australia and managed by eCorner. We will support the business growth long into the future with existing functionality available for multiple languages and currencies as well as the ability to support multiple sales channels. eBay has become one of the largest automotive market places and so our solution allows dealers to sell on ebay and manage the stock, listings and orders in the online store. But portals like Getprice, Google Shopping, Facebook shop and many more are also supported. The eCorner solution is fully Payment Card Industry Data Security Standard (PCI DSS) compliant. Support for Australian and New Zealand payment and shipping solutions are available as standard as well as many international payment solutions. The solution is fully customisable to support unique features that may be required by your business. eCorner developed integration from the Pentana Solutions ERAnet Dealer Management System (DMS) to the ePages online shop software allowing dealers to automatically populate an online store with the products and parts information from ERAnet. Importantly the content is kept up to date with daily updates from the ERAnet data for price, stock and parts information. The solution is built to support business to consumer or business to business sales. Each product can have multiple prices that reflect different customer group price strategies. Who is already using eCorner? eCorner is by no means a new entrant to the market with over 10 years’ experience in the Australian e-commerce industry. This experience is part of the reason why they support clients such as Basketball Victoria, Queensland Transport, Circus Oz, Australian Institute of Sport and Weight Watchers Australia. 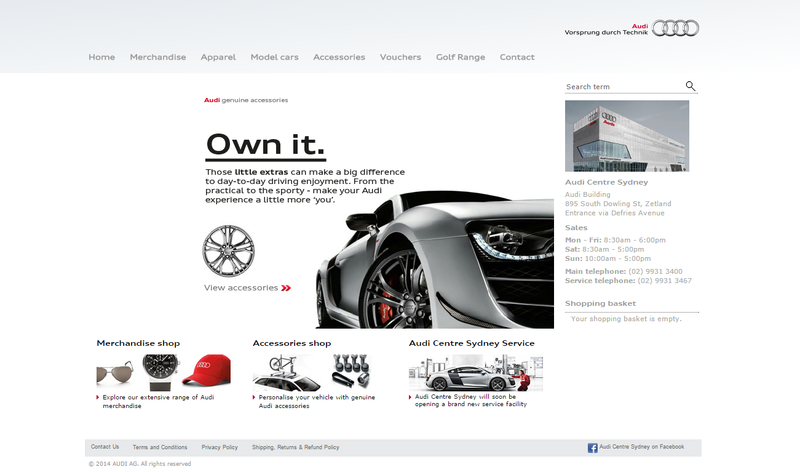 In the Automotive Parts space Sterling Auto Parts and All Fourx4 Spares as well as dealers such as Audi Centre Sydney are already using the eCommerce solution from eCorner. The benefit they receive above other eCorner ePages users is the efficiency gained from the existing ERAnet integration. The ERAnet to ePages integration allows a retail dealership to load parts and accessories onto their own ePages store - directly from the DMS using their unique data feed. This integration is a way to make dealer operations smarter and faster, a true measure of innovation. What is our current e-commerce strategy? Would our retail dealership benefit from leveraging existing online traffic? 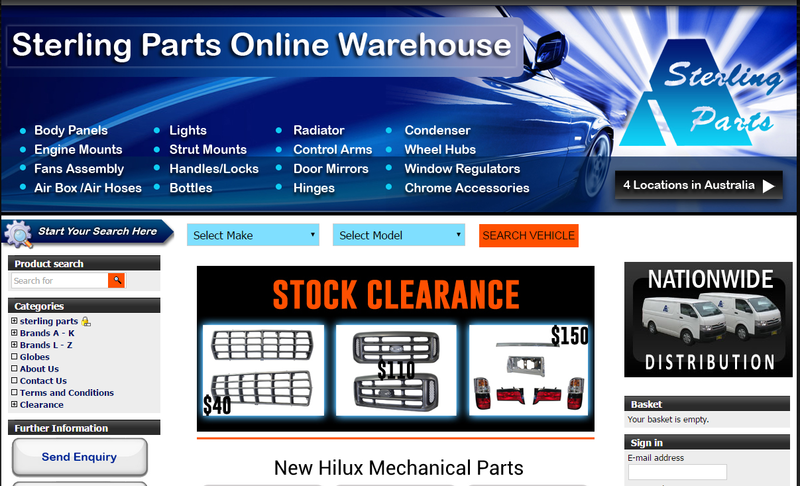 Would our retail dealership like to list parts and accessories online faster? For more information contact eCorner for a free review and estimate.